Showing results by narrator "David T. Smith"
The author of How to Do Everything and Red Green's Beginner's Guide to Women has never been afraid to take on jobs doomed to failure. This latest project is perhaps the nearest he has come to a triumph. 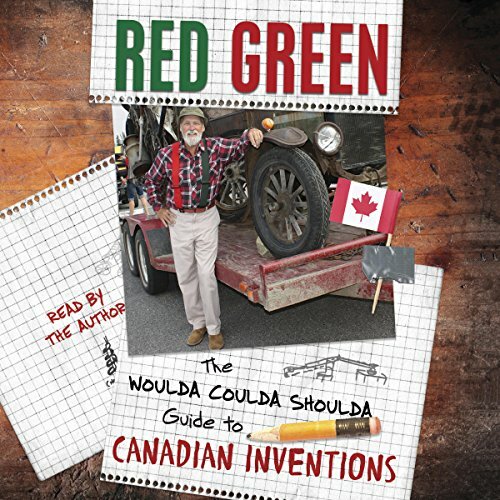 In The Woulda Coulda Shoulda Guide to Canadian Inventions, Red surveys, analyzes, critiques, and in some cases tells you how to re-create at home the best Canadian inventions, from the Wonderbra to the hard-cup jockstrap, by way of insulin, the walkie-talkie, synchronized swimming, and more.